Very quietly last week Run and Be Still celebrated it’s 3rd birthday. It’s amazing how fast time flies and how much can change in the span of a year. Life is fluid. Like the waters constantly meeting the shoreline, shaping and molding, so are our days. Sometimes they pass gently and lazily. Sometimes with such ferocity they steal bits of us as they go, washing them away, reshaping who we are. This has been a majorly reshaping year for us. So many changes, forcing us out of our comfortable routine and into this grand new adventure. Isn’t it ironic how the future and the passing of time makes us desperate for our memories? At least that’s where it finds me. Milestone markers open the archive of memory banks and old photo albums and I try to hold on just a little longer, remind myself so I’ll never forget, the way things used to be. I don’t want to go back, I really like the “me” I am becoming, I just want to remember. And it would only be fair to admit that the memories I cling to are most certainly revisionist, glorified, and edited. Even (probably especially) the bad days. The passing of time has dulled their sharp edges. Their bitter taste comes part and parcel with the sweet ones. Move. Touch. Share. Love. It’s my new mantra. Love in action has become my cure. Love Runners and do Good have become the vehicle. They are my “Just Do It.” I have a tendency to become intense and obsessive when I am passionate about something. One of the biggest lessons that I have learned in trying to get this off the ground is that this isn’t everyone’s dream. This isn’t everyone’s cause. But oh my, the opportunity to be God’s hand and feet in this endeavor makes my heart beat faster and I am not going to give up on that! And so it was with great anticipation that I launched the online studio last weekend. We are officially Open online! Will you please check it out and pass the word? It would mean so very much to me! Love Runners and The do Good Studio. Launching Love Runners and The do Good Studio reminds me of the days when Run and Be Still was brand new. Stalking the analytics and statistics, wondering if anyone has visited and if anyone even cares. And then here we are in the blink of an eye, 3 years later, and you’re here and I’m still here. When I started out I didn’t know what I was going to write about, how long I could keep this up, or if anyone would even read it. To date, there have been 237 posts, 17,525 views, and 9,188 different visitors from across the globe! It’s amazing to me. Humbling. We’ve shared a lot of life together and over the course of those years the continuous lapping of the water has reshaped me and the course I thought I was on. Happy Birthday to us! Let’s do Good this year! We slipped away for a few days, taking a much needed breather from house projects and Wally, (he is still around making his presence known every night -unfortunately), work, school, and real life in general. We traded in the hustle and bustle for the life of a beach bum. This is a trade I will make any day of the week! But, it couldn’t last, and Monday rolled around and brought with it everything we had been working hard to forget – and SNOW! Seriously, insult to injury! There was one thing I was looking forward to getting home to though…my new favorite coffee. This was one box I couldn’t wait to open when it arrived a few weeks ago. It was full of coffee samples from all over the world and we’ve been drinking pot after pot of unbelievably wonderful coffee, all in the name of research, of course. After all of our sampling, our two favorites are single source origins from Bolivia and the Congo. You can see the super scientific rating system that we used on the sample bags. These will soon be available for you to try at The Do Good Studio. In our continuing effort to Do Good in both our support of Love Runners as well as our product offering we are excited to announce our partnership with Higher Grounds to offer these exceptional coffees from around the world. Higher Grounds is building lasting partnerships with small-scale growers, working directly with them to ensure a top-quality product. Through those close relationships and ongoing community projects both in our local area and globally, we are able to provide coffee drinkers with an excellent product and the opportunity to engage in a cycle that begins at, and returns to, our partners in coffee-growing regions. Bottom line, your morning cup of coffee (or afternoon or evening or all of the above) really will make ripple effects and Do Good, locally and internationally. Now, without further ado, I would like to introduce you to the farmers who grow these fabulously, magical beans. Like most coffee-producing countries, Bolivia has long been heavily impoverished. In order to successfully produce quality coffee and support their own economic and environmental sustainability, farmers need infrastructure and technology. Thankfully, the fair trade and organic coffee movement has provided support and opportunities to these farmers. A vast majority of Bolivia’s coffee is grown in the rural Yungas areas, where organic Arabica varietals thrive on small plots that have been redistributed from larger landholdings back to farming families. The rugged terrain often presents a challenge, but the Bolivian farmers who grow our coffee are working hard to produce a very high quality product. 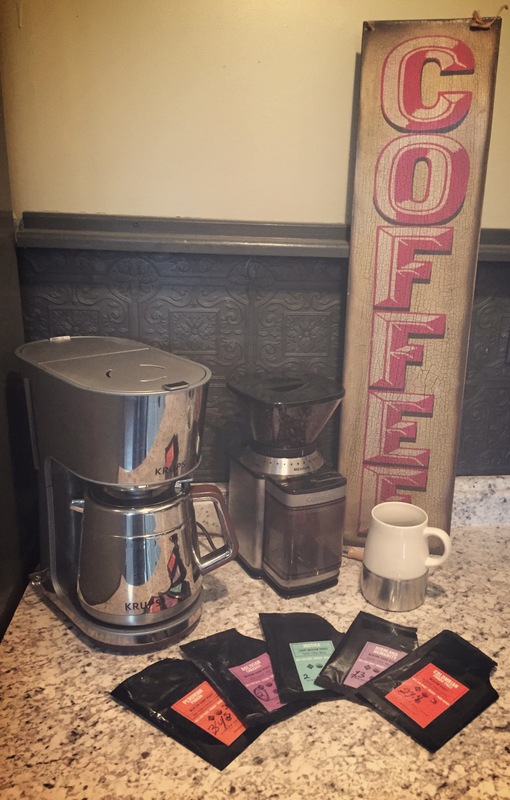 For my coffee geeks, the Bolivian Caranavi typically presents a clean cup with a rich body, notes of semi-sweet chocolate and cranberry, and a smooth, creamy finish. Along with notes of toasty hazelnut, the discerning palate will pick up hints of mango, lemon, and honey in this dynamic brew. 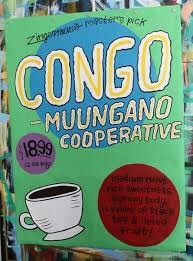 Our favorite, from the Democratic Republic of the Congo, is from the Muungano cooperative, located in Kalihi, South Kivu, on the shores of the expansive, volcanic Lake Kivu. “Muungano” means “togetherness” in Swahili, a perfect description of this emerging group of farmers who have joined together across communities after decades of conflict. DR Congo is home to many of the economic slaves of the world, both historically and today. A country the size of Western Europe, it has a population of 70 million, an average life expectancy of just 51 years, and an average income of only $200. Coffee represents a sliver of hope for the DR Congo, and we jumped at the opportunity to engage in a movement for peace through economic development not based on conflict or exploitation. 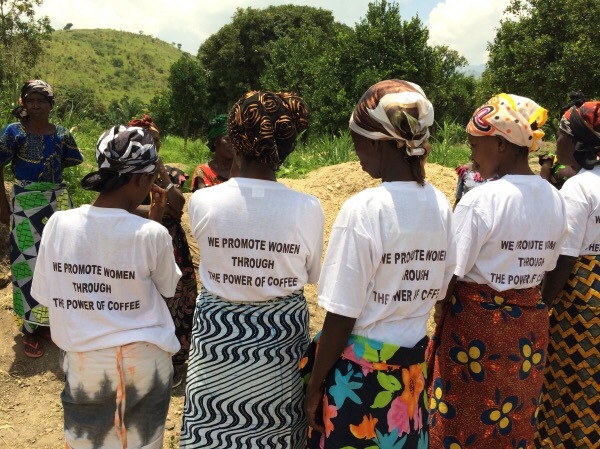 Through coffee, it is hoped by many, local Congolese can begin to rebuild their communities. For my coffee geeks, the DR Congo Muungano demonstrates a lively, balanced cup with nuances of Meyer lemon and sweet almond. I am hoping you will love these brews too! Meanwhile, in my hopped-up-on-caffeine state, the To Dos are getting done and we are growing closer to opening our virtual doors. If you haven’t yet checked out the new website, please do. Also, we are still looking for some local partners to “love on.” You can nominate your cause here.